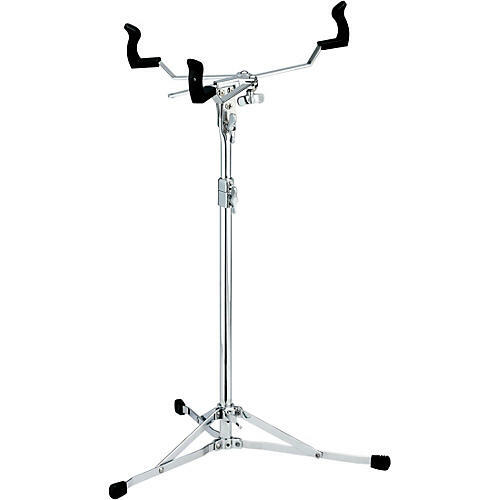 Inspired by the vintage cymbal stands of the 1960s, TAMA released new extremely lightweight and compact Classic Stands. But it is not only rehash of vintage stands. It features many practical ideas which provide stability, adjustability and setting ability to drummers which our modern expertise can realize. And also, its flat base design allows you to position the tripod base much lower than on standard stands. This means you can place this stand much closer to the bass drum or between other tripod stands in your setup. Size When Folded: Upper Section 23.6", Base Section 18.2"